The data center IT infrastructure is basically a value stack. A supply chain of stack elements who act as a service component (People, Process and IT that adds up to an IT service). Although IT infrastructure delivers no direct business value, much of the business value is created in business processes that depends upon a solid and stable IT infrastructure. With an IT infrastructure in place, you can run applications, but they can’t deliver any value without a physical IT infrastructure of server, storage, network and power and cooling components. These stack elements are all interdependent, and, of course, any one of them can be further decomposed (see the proposed Stack Framework of Datacenterpulse.org) . For each element in the stack the IT organization has to assure quality as agreed on. In essence these quality attributes were performance, availability, confidentiality and integrity. One of the most big challenges for the IT organization was and is to coherently manage these quality attributes for the complete service stack or supply chain. Sustainability as quality attribute is a new kid on the block. The sustainability attribute is composed of the power, cooling and floor space sub attributes. 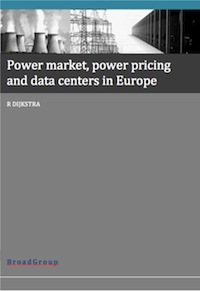 As insurance against the outage of IT services, most data centers have some level of redundancy of system components. The costs associated with additional extra energy usage as a result of redundancy will be taken for granted. The key question is how to ensure that the redundancy is achieved in the most energy efficient way possible. 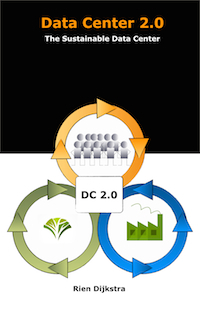 So how to architecture and design sustainability for a data center? 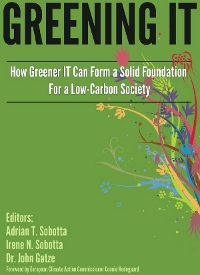 The Greenmetrics Conference 2009 in Seattle produced a paper named “Quantifying the Sustainability Impact of Data Center Availability” which tries to answer the question how to estimate the sustainability impact for different availability architectures of a data center power infrastructure. For a high-level approximation of the environmental impacts the thermodynamic metric of exergy (also called usable available energy), which represents the part of a system that can be converted into useful work, is used in a life-cycle exergy analysis (LCEA). Stochastic Petri Net (SPN) models are used to estimate availability for different power infrastructures. In the presented case study power infrastructure architectures with increasing redundancy, such that each successive architecture has an additional component duplicated, are compared. For each architecture availability (using a SPN model) and lifetime exergy is estimated. Sounds complicated? Read the article it is pretty straightforward although it looks like that it is the first time such a approach is taken. Hopefully this article gets more airplay and gets a follow-up where other cases will be shared.